A topic close to Design, is Branding. Of course you can design and build things, but how to sell it? Or .. if you have a RL company selling objects or services, how do you sell those online? 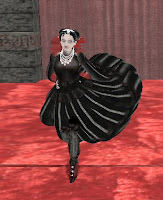 Second Life is, like many other platforms, a great way to reach out to your clients and affiliates. And not only that, you can also use it as a medium to sell your things. Text 100 is the name of a RL company who are specialized in branding. Getting word out, reaching out, focusing on new media. And after having 29 RL offices all over the world, they've now opened office # 30 in Second Life. Here is a movie of a speech of Andrew McGregor, regional director for Text 100, recorded at Picnic 06, a New Media event held in Amsterdam. He talks about how a medium like SL can have an important meaning to companies, and what their view is on Second Life and where it will be in the near future. New sim "Armani Via Manzoni"
Giorgio Armani is pleased to announce the opening today of his first store on Second Life. Mirroring his Armani/Manzoni concept store in Milan, the new location, will provide Second Life’s residents from around the world the chance to experience the store as though they were actually there. The new island on Second Life will immediately offer a destination for those residents who enjoy fashion and lifestyle. And, as in the real world, Giorgio Armani himself (or his avatar) will be visiting his Second Life store frequently to check on its progress. Second Life residents will be able to enter the Armani/Manzoni store and buy seasonal items virtually with Linden Dollars or will be able to connect directly to the real world to make purchases from the new Emporio Armani on-line store at www.emporioarmani.com. Are You An Influential Artist? (Photo: Cyanide Seelowe (above) encourages the promotion of art and artists in and out of SL). 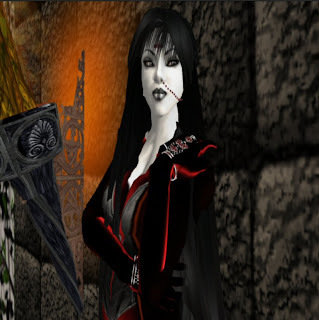 WITH ARTISTS BY THE THOUSANDS in SL, the search is on for "The Most Influential Avatars of SL Art". Genres of visual, musical, performance and literary arts will be acknowledged and include fine art, music, literature, poetry, sculpture, machinima, theatre, dance, experimental art forms, virtual installations and multi-media art forms. According to Cyanide Seelowe and Enniv Zarf, co-sponsors of the event, the art scene in SL, although somewhat under-appreciated, is considered by some to be the backbone of SL's growing culture and commerce. Initiated by Enniv Zarf, CEO of Krystal Epic, the event aims to promote SL's art scene to the public eye, both inside and outside SL. Cyanide, founder of the Virtual Artist Alliance, says, "We define 'most influential' as the people who give the art community its momentum. People who have accomplished a lot in order to expand the art community and help shape it for the better." "The prize we offer is publicity, which is a vital asset in the Second Life art community." Art patrons are also being recognised by the awards for Most Influential Venue Owner and Most Influential Patron, Collector and or Volunteeer. Nominations are being received throughout the month of September and can be be made by logging on to art.krystalepic.com, which also features entries received so far. You have until 30th September to lodge your nomination. Voting will take place during October, interviews of the top 10 or 20 artists will be given in November, and winners will be announced in December. So if you have a favourite artist or art patron, get your vote in now! Well what a week. Some of you may know that I am estate manager on a friends island, for the rest who didn’t know, you do now! From that island has been born a 2nd island which delivered to us on Saturday. Oh the excitement so many prims, such expanse of nothingness it was to be embraced with both arms. 65,536 sqm empty and ours for the playing with, well at least for a few hours! Now when you have an island, either as an estate manager or as owner there are lots of things you need to bear in mind. Renters, look & feel, design, and of course money. Very few of us are in a position to buy an island on a whim and is usually done for a cause therefore it must at the very least break-even. When our island delivered it was all hands on deck, things to be built and designed, plots to be subdivided. So upon speaking with lady land owner I suggested we enlist the help of a good friend, an intelligent trustworthy lass who knew the ropes and was a seasoned second lifer. Agreed, we called her in. The stress lifted somewhat as she set about making lovely fruity coloured rulers for plots. 4.30am she and I finally gave in and went off to bed having felt we had accomplished a lot and were proud of this. With very little sleep from the excitement I got up on Sunday morning and logged in to see our lovely little ruled sim. Unfortunately I also received word that our new estate manager had received a 1 day suspension from Linden. Immediate words of why? How? Why? This pro had been at a club on the mainland who has been suffering drastically from the counter effects of a griefer. She had done her best to defend herself. However Mr Griefer had filled an abuse report and without even so much as a trial she was banned. My estate manager was sent to jail and out of action for 1 day! I now had the interesting task of explaining to lady land owner why my ‘trustworthy’ friend was missing. Islands are exciting and marvellous things and if you get the chance you should experience being estate on one. However be prepared for the immense lack of sleep and countless amount of stress that you will endure on the initial set up stages…. Oh yes and for god sake make sure your estate managers do not leave the island, its much safer that way! Or designing an underwater playground. I recently had a play with the underwater area here at sunrise reef and went searching for some things to make it look and feel fun. I discovered splash aquatics, the range was awesome and the designs incredibly lifelike. 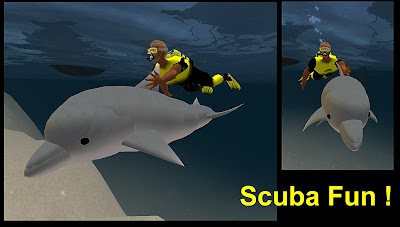 I had great fun filling my sea with sculptie reefs that at a click change shape and texture, our shark george and of course his friend mildred (the giant octopus seen here competing with our voodoo on who has the best tentacles). 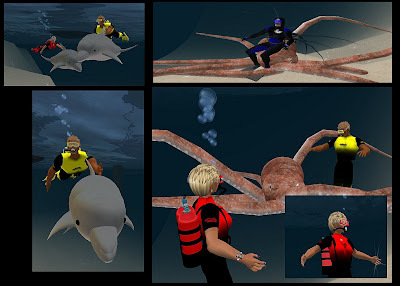 I have also always wanted to swin with dolphins, although not the same as the real thing this at least gives me a sense of what it could be like. So if you are looking for a divers delight I suggest you visit Splash. I know James and I had a great visit and spent way too much LOL. I recently had the honour of meeting Raven creator of Rfyre at the opening of The Writers’ Block Café and Bar (see below). After being introduced by her assistant Harper Beresford I arrange a chance to 'interview' her. I hate interviewing and prefer to chat, especially with one of my design idols. Raven Pennyfeather: I think I kind of evolved into it actually... I have always had a very keen interest in art since I was a little girl, my grandmother put a crayon into my hand and I was off and running. Art was always something I held a passion for but was guided by what I thought the sensible thing to do was so all during my years in school and later in the work world, art always parallelled my other studies and activities. Dana: So you think that art is the key to good design? Raven Pennyfeather: I think its a combination really of a passion to create and then a bit of training to help you manage / learn the skills. Dana: SL gives a lot of artists a medium they would never have found any other way. Raven Pennyfeather: Where else could we meet such a concentration of people who share a passion to create, I have shared this previously but the name RFyre itself is representational of that concept, R meaning "our" and Fyre meaning the burning need to create. Dana: Can I ask why Gothic? Raven Pennyfeather: I never set out to be a goth designer, my focus was on the archaic, but over time the romanticism of some of the more shadowy figures in literature and history caught my attention, I am always drawn to darkly elegant things. Dana: And the furniture and weapons are just an extension of that? Dana: You have been in SL for 3 years, what is your opinion of all the recent changes? Raven Pennyfeather: It had more of a small town feel, but truth be told I still have that sense about it. The changes have been phenomenal in SL since I first joined, the enhancements have been on one hand infuriating yet at the same time has opened up room for creative expansion with flexi and now sculpties, this medium is still in its infancy. Dana: How do you see your future in SL? Raven Pennyfeather: I will continue to focus on doing what I love and trying always to be the very best that I can be. I try to focus on the internal and staying in the moment... I have no idea of what the future will bring..
Dana: How has being successful in secondlife affected your RL? Raven Pennyfeather: In the beginning people didn't quite "get" what it was that I did but my family and friends after a time realized that I was at last able to find a home in my art, one that could sustain me in a way corporate America never could this is a gift and a privilege to be able to do this here.. I have paid my dues out there... and I feel like I have found my true niche. Making sure to balance the real with the virtual. I have a lovely circle of RL friends and family that I make sure to spend time with. I still find that I want to fly up to the second floor in a mall and am frustrated that I can't in RL. I have a partner who enjoys being in the virtual too so that makes it much easier. Dana: How many shops do you have? Raven Pennyfeather: Yes... well I have over a 100 now.. and use a lot of the organizational skills I have acquired along the way in my former corporate lives, that has been over a period of two years. The group issue is very frustrating but there are "work arounds"
It was about this point that SL decided the interview had gone on too long LOL and booted us both several times. I want to thank you Raven for the time you gave me and for the wonderful creations that have made MY secondlife so special; left you can see me wearing one of Ravens creations 'Carnival' (which was a gift from Voodoo on my RL birthday) on the happiest day of my life. Below you can see some of my favourites. !! Wish Isle Fashion SHow calendar For 2007 !! From Sunday 9 September until Wednesday 12 September there will be a Sale of aDIVA dresses at The Purple Moon. These dresses are being replaced by the new aDIVA autumn collection. For all those ladies who already own several dresses, but never enough, there is a great opportunity here. All SALE dresses will be priced L$ 99. This Sale has a strict end date of September 12, midnight (pdt). No exceptions will be made. After this date, this dresses will no longer be available. 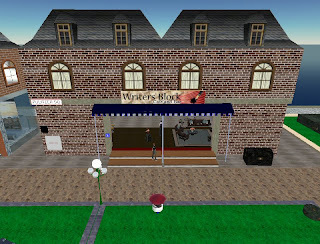 Last night saw me at the event to be seen at 'Letters from beyond' A Celebration of Fashion and the Gothic Novel Presented by: The Writers’ Block Café and Bar (Manager Vikki Planer)Sponsored by: Alliance Second Life Library on Book Island. We were treated to a feast of fashion from Nocturnal Threads Designer kaia Ennui followed by my all time favourite designer Raven Pennyfeather from Rfyre the models came courtesy of Wendell Holmer, and looked great on the packed sim managing to show with poise and elegance despite the difficulties caused by lag. There was dancing with Book Island DJ Masacre Soon, a best in Gothic novel costume contest plus a scavenger hunt where participants had to find all the letters and unscramble the word to win prizes. Fireworks later in the evening showed the dedication of the organisers to make the event a huge success. What a night! I even got to meet my design idol :) So huge thank you from me too. KE Shopping Center is the official shopping center of Krystal Epic, raved by many as one of the most innovative creations in Second Life. The KE Shopping center features a brand new line of Krystal Spheres. Taking advantage of the power of Second Life, these unique spheres are each "A Total Environmental Experience." The interiors of each sphere are individually themed and comes with matching themed furniture. The Shopping center also carries on-sale Krystal Cubes, rooms that views from the outside like a 3D painting, while the interiors can function as a unique room for performance, relaxation or anything else the owners wishes for. They are delivered upon order and comes with 1 free installation session. Also available at the store are different sets of designer furniture, all created by Enniv Zarf himself. 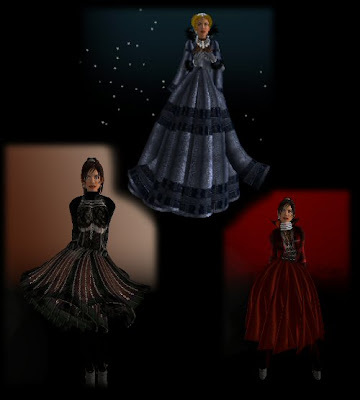 The creator Enniv Zarf is a Renaissance artist, with over 20 years of experience in both the performing arts as well as the fine and visual arts. He has brought his skills to develop a line of unique and practical art to be available to the general public. Security of personal land and property in SL is one of those things with both good points and bad points. Personally I hate the red banlines of death, getting thrown off my Ducati 999 (thanks Les!) because of them really wreaks my immersion you know ! On the other hand I like to control who has access to my property, and erm poseballs. Many products are available in SL to make this job easier without banlines and a constantly growing banlist. This review will look at just one of them, as it is a system I actually use on a day to day basis on my home plot. The xxxx comes in a 2 prim traditional rotating radar form or a single prim ball shaped version. Both offer identical funtionality. All settings are configurable in a notecard inside the device, or there is a clever little step by step wizard to get you up and running quickly. 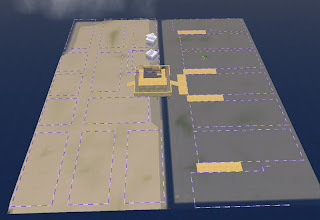 On group owned land you need to deed the scanner or employ its bounding box system - more on this later. You can also purchase a copyable no transfer version if you own your own land and dont need to get your scanner deeded. Variable scan range up to 96m, with the ability to only check its owners land regardless of scan distance set as long as the land isnt group owned. 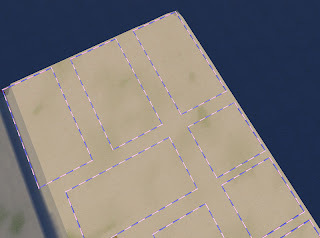 On rented land you can set up a bounding box of SL coordinates to precisely cover only your land. 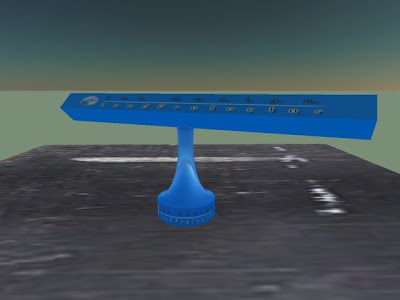 A special HUD gadget is included to assist in obtaining the required numbers. This is a very clever and useful system and would be great for landlords with multiple rental plots. Warnings can have their time before action set, and also what action to take from a simple warning to tping the intruder home. The default option is to gently eject the offender from the scanners land. A visitor list maker is included and will record everyone who comes in scan range not just those people ejected, the last five are shown in floaty text (tm) over the scanner. A drop down dialog enables you to quickly get feedback on the contents of the various lists, the status of the device and to check for updates. A full range of chat commands are also available, including a few functions only obtainable this way. For extra security the scanner can now be 'cloaked' so it and all status text go invisible. Also new is an insta-push function that allows you to quickly perform a small orbit push on a trouble maker with a chat command. You cannot remove people from a list without a full reset of the unit as far as I can see. Deleting their names from the notecard doesn't remove them from the scanners internal list. Finally when someone is ejected it offers them a landmark (defaults to the makers store). While a nice feature this could be made more flexible, or at the very least it should be optional. An excellent product, especially in its copyable form if you do not require deeding. Script impact seems minimal for this kind of gadget and decreases further when the scanner is cloaked. Just about every setting the owner of a small to medium plot of land could want seems to be covered. Highly recommended if you value your privacy ! - The warning menu window to the people has an option to click for the landmark. So people can choose to get it or not. The landmark can be replaced by any landmark you put into the device. So you can just delete the default landmark and drop your own in. So, some of the information you gave in the review should be changed accordingly. 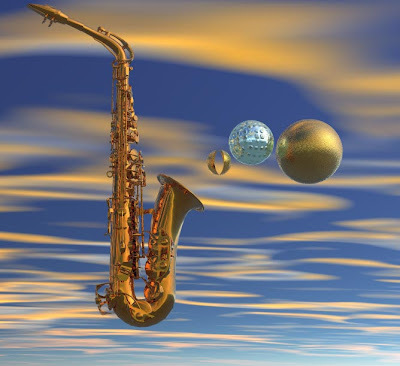 Ever wonder how many prims it would take to make this Saxophone ? - We asked its creator and this is a 5600+ saxophone ! Watch and be amazed !